Be forewarned: during your Pawleys Island vacation, you may experience levels of relaxation that could have you wanting to never leave this special lowcountry paradise! That's a pretty good problem to have, but we'd recommend taking a short drive south to discover historic Georgetown, SC. This charming town is the third-oldest community in South Carolina and offers a great way to spend a day on your trip to Pawleys Island. With history dating back to the 17th century, Georgetown was officially incorporated in 1729 and flourished as a hub for indigo and rice cultivation. By the mid 1800s, the Georgetown area accounted for half of the rice grown in the US. Today, the town's economy is largely based on heritage tourism, as the town's charm and history have attracted visitors to spend time relaxing and exploring this picturesque waterfront community. History lovers are sure to be delighted by Georgetown, as there are over fifty sites around the town listed on the National Register of Historic Places, including plantations, public buildings and churches. As you traverse the historic district, you will notice an abundance of plaques detailing historic sites and buildings, telling a story about the town that stretches back over three centuries. Sprawling live oaks line the streets of many of the town's oldest neighborhoods, providing a lush canopy and cool shade from the sun during those hot South Carolina afternoons. Georgetown also offers several fantastic museums to enjoy, including the South Carolina Maritime Museum, the Gullah Museum and the Georgetown County History Museum. There are also lots of great tour options to view and learn about the area, including boat tours, walking history tours and even ghost tours! Georgetown also offers fantastic local shopping and dining opportunities during your day trip. The waterfront area along Front Street is host to an assortment of shops and boutiques. Those in search of antiques or local arts and crafts will have their pick of amazing treasures available at places like Emma Marie's Antiques Shoppe, Outlaws Art Gallery or the Georgetown Art Gallery. Fashionistas can peruse men's and women's lowcountry style in shops like The Sly Fox, Muddy Bay Outfitters and Black Mingo. Georgetown is renowned for an abundance of fine furniture and home decor stores, and a visit to shops like Bienvenue Home Decor, the Whimsy Roost or Augustus & Carolina are sure to entice shoppers. All that shopping and exploring will surely work up an appetite, and Georgetown offers no shortage of places to get your fill! Fresh local seafood is the specialty here, with The River Room Restaurant, Harborside Seafood and Italian and Old Fish House Restaurant providing delectable dishes and fantastic waterfront views. There are plenty of other places to enjoy if seafood isn't your thing, with spots like Moe's Original Bar B Que, Seven Hundred Modern Grill and Bar or Buzz's Roost serving up BBQ, burgers, pizzas and lowcountry specialties that will tantalize your taste buds. Be sure to save room for dessert and try Harvest Moon Ice Cream or Sweetie's Chocolates to satisfy your sweet tooth! With so much to do, it's obvious why a day trip to Georgetown is a must during your trip to Pawleys Island! Be sure to browse our amazing catalog of Pawleys Island vacation rentals at Litchfield Beach and Golf Resort, True Blue Resort and Pawleys Plantation Resort to book your lowcountry getaway today. 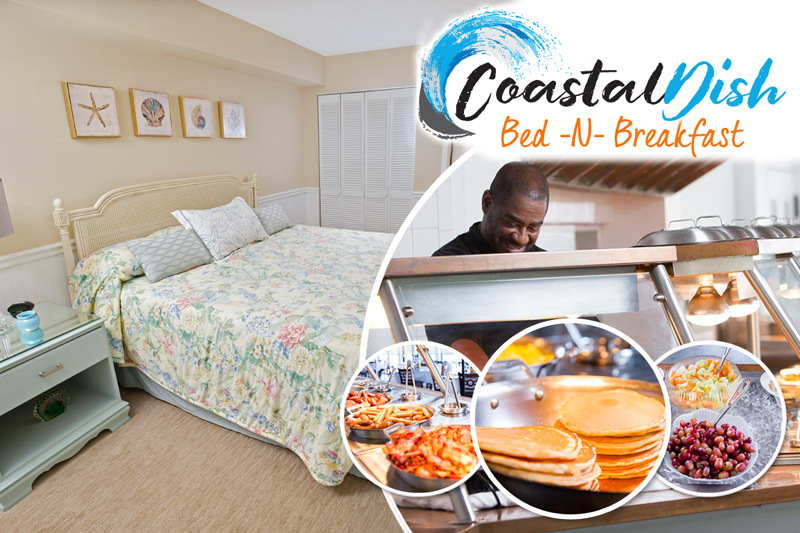 Don't miss out on our unbeatable booking specials to enjoy your Pawleys Island vacation at the best price around!